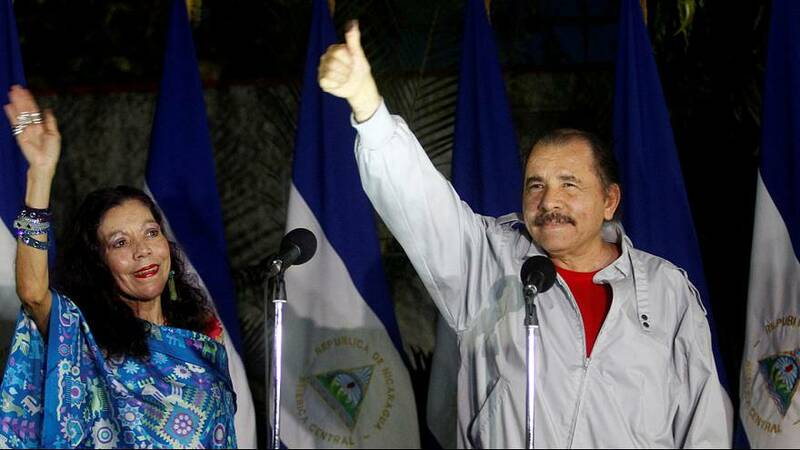 Nicaraguan leader Daniel Ortega appeared to have a clear path to a third consecutive term in office after securing more than 70% of the vote in partial results for Sunday’s election. By fusing his militant past with a more business-friendly approach, the 70-year-old stands in stark contrast to many once-dominant Latin American leaders. “This is a vote for peace, for stability, for the security of Nicaraguan families,” said Mr Ortega. Ortega’s achievements have been matched by growing concern over authoritarian tendencies as opponents have accused him of manipulating the political system to stay in power while trying to set up a “family dictatorship” since he appointed relatives to key posts. If the results confirm his triumph, it would be Ortega’s fourth overall term since he helped lead the Sandinistas to an overthrow in 1979 of the Somoza family that had ruled for the previous four decades.